Microsoft has made a couple of changes in recent months. One, they’ve changed the name of SkyDrive to OneDrive. Not a big deal, and the new name makes about as much sense as the last one. Two–and this one is very exciting to me–they’ve made OneNote free. Entirely free. Not just the app for your phone, but the stand-alone, desktop application. And it’s available for Mac, too. I’ve been an Evernote lover for many years, but I always ended up using it as a disorganized receptacle for information. Finding what I needed took longer than just re-searching Google. I always wanted to try OneNote, but often had such outdated Office applications that I was worried I would trap my information in an obsolete application. I’m very pleased that this is no longer a concern, and I’ve started making myself at home in OneNote. I’m organizing homeschooling for next year (and beyond–my daughter starts high school grades in another year! ), our wedding plans, household concerns, writing projects, and more. I find that the way OneNote is organized fits really well with the way I think. The layout and the colors make organizing a breeze. For the type of people who love to browse the aisles of their local office supply store, OneNote is a fun tool. On to some really great new-ish Windows 8.1 hardware. I’ve gotten to evaluate a Dell XPS 15, which is the first true laptop on which I’ve ever gotten a chance to make myself at home. I’ve had netbooks and a light duty notebook, but mostly I’m a desktop computer kind of gal. The XPS has a lovely rubbery matte texture to the typing surface, and there is just enough key travel for typing comfort. The typeface on the keys is a bit unusual and took some getting used to. It reminds me of vintage space age stuff–not quite OMNI Magazine, but close. The machine is a large size, but not too heavy. The Corning glass screen is crystal clear. 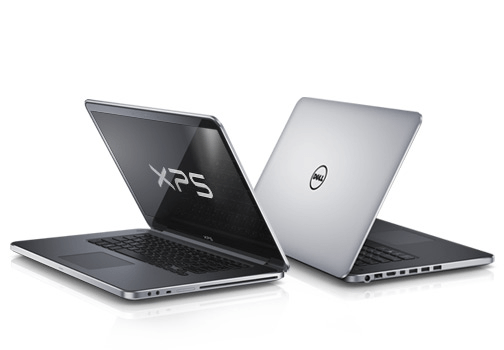 For the different specification options for the Dell XPS 15, I recommend you visit the Dell website. From my personal experience with Windows operating systems over the last 24 years (since Windows 3.0), it’s had its ups (e.g., XP) and its downs (e.g., Vista, which I was fortunate enough to avoid). But I’ve been extremely happy overall with Windows 8 and 8.1. I still don’t like how it handles searching–it’s always extremely hard to find what I’m looking for–but everything else works like a dream. Windows 8+ has also had one notable effect on me: I now treat every screen like a touch screen. My tablets (see my earlier GeekMom post about the Windows 8.1 tablet) and Windows 8.1 laptop have touch screens, so when I’m helping my daughter with something on her old Mac, I keep reaching for her screen to scroll. Obviously, that doesn’t work. I’m sure society is going in the direction of mostly touch screens because they are so darn useful. Touch screens aren’t quite as useful with a desktop machine, but when multiple people are crowding around something, or if there is no keyboard (like on a tablet), it just makes sense.